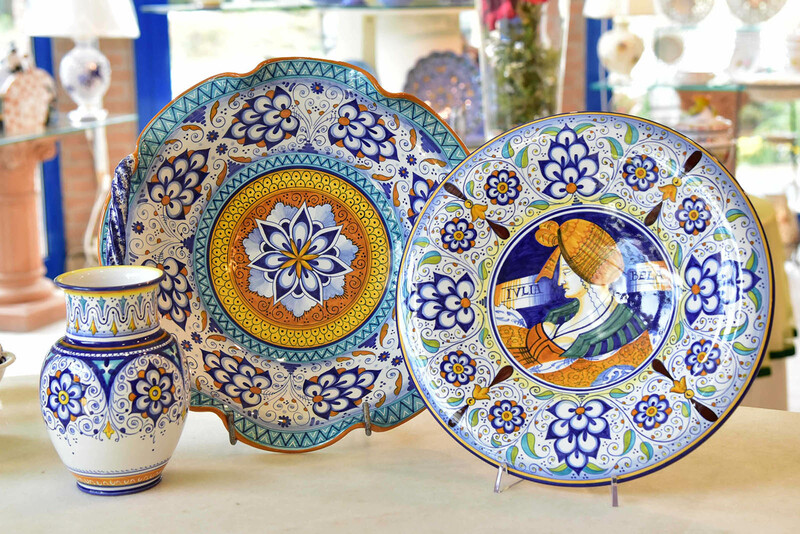 The embroidery of eastern fabrics applied to majolica. “Palmetta Persiana” is the floral gothic style decoration that was introduced to Faenza in 1480; it has a pinecone shaped flower with petals decorated in blue, faded and with very light touches of orange and copper green. Small light spirals in the decoration create a rich effect, almost a kind of embroidery.